The Menu Express printed Full Size Color Banners. High quality custom banners printed on premium vinyl are a perfect way to advertise your business, event, or organization. 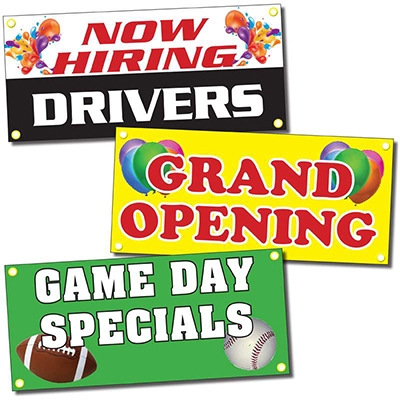 Printing indoor vinyl banners with The Menu Express is easy, inexpensive and effective. Call us toll Free at 877-250-2819, To order your full color vinyl today..
To request your quote for Banners, simply complete this form!